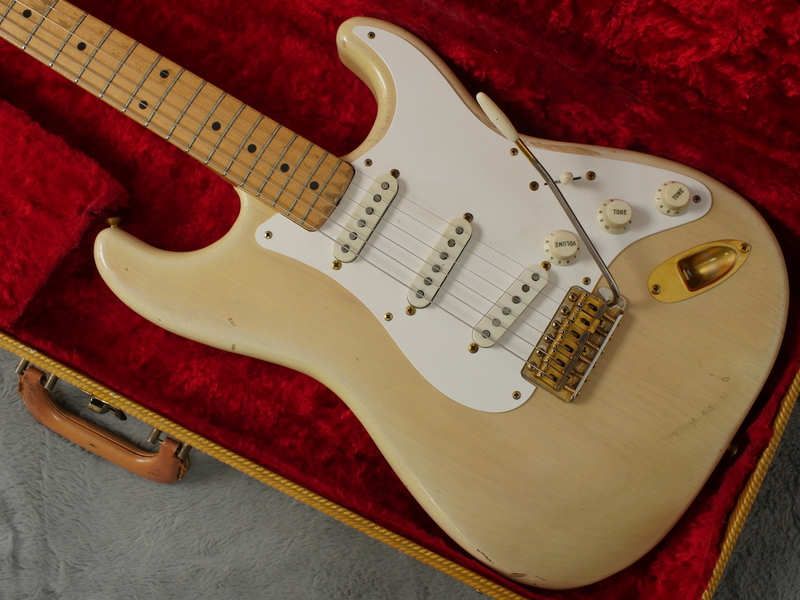 Here is probably the single finest vintage Fender Strat we have ever had. 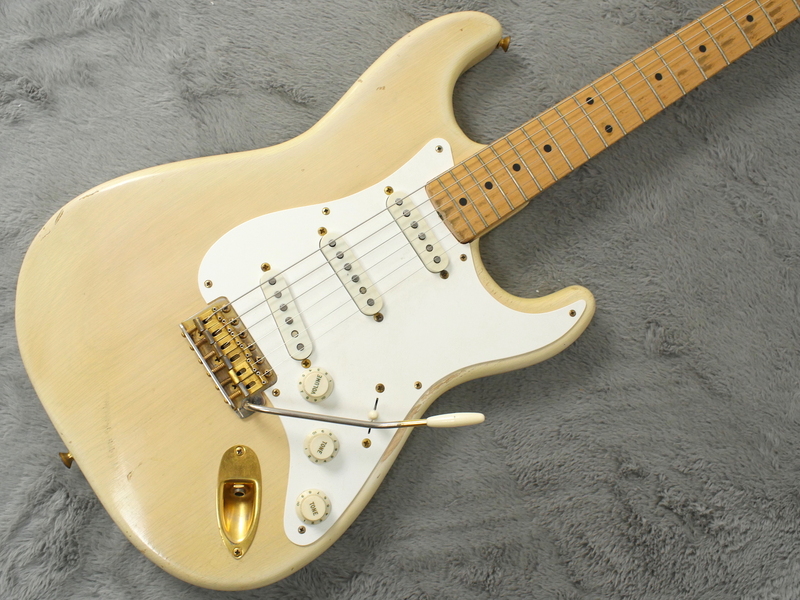 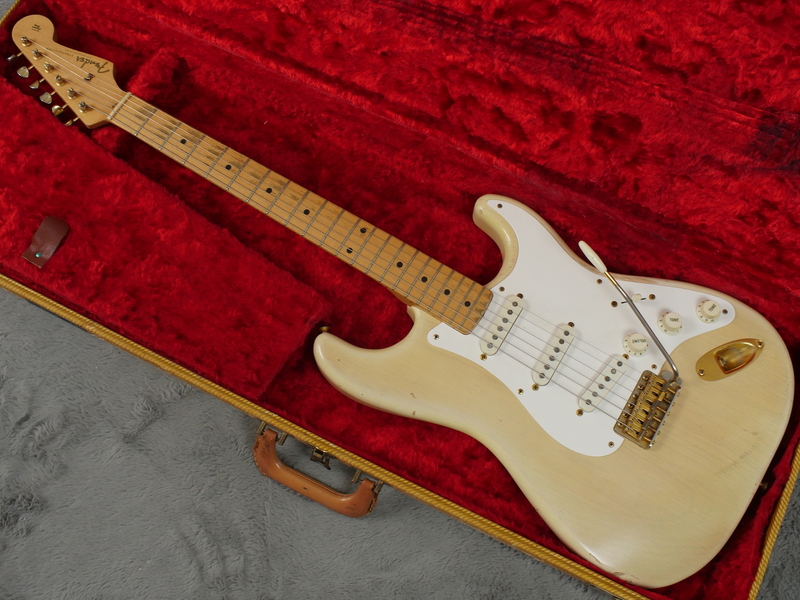 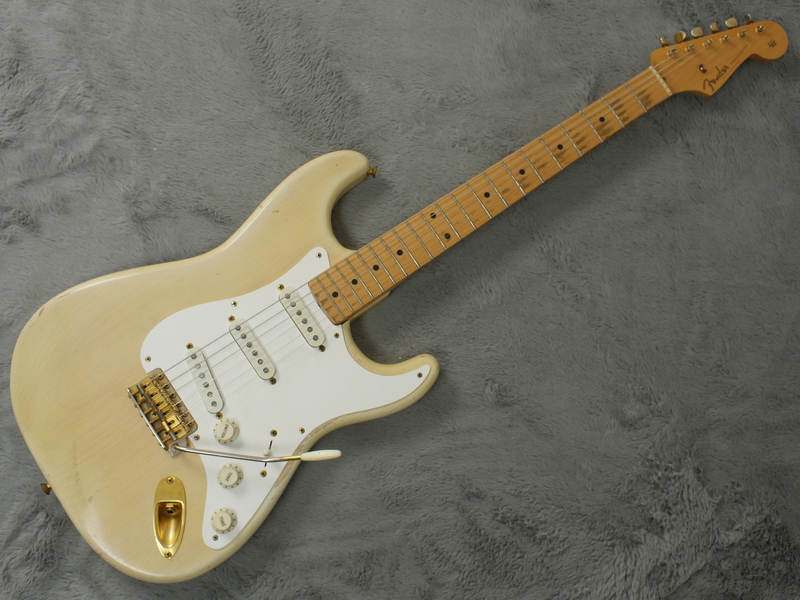 An all original 1957 Mary Kaye Fender Stratocaster, finished in original blonde with all factory original gold parts and not a thing changed since it left Fullerton in mid 1957. 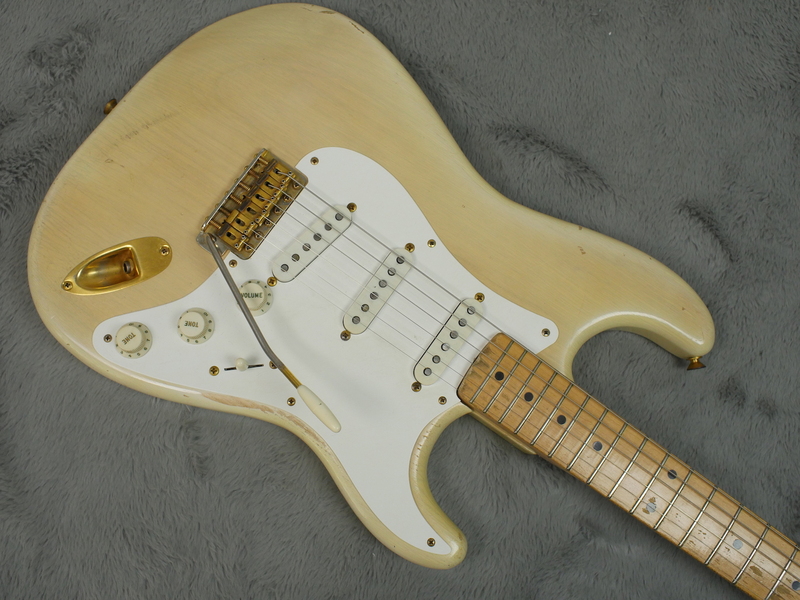 One of the rarest and most desirable of the standard Strat models out there, this is not something you come across every day and especially in such a fine condition as this one is in. 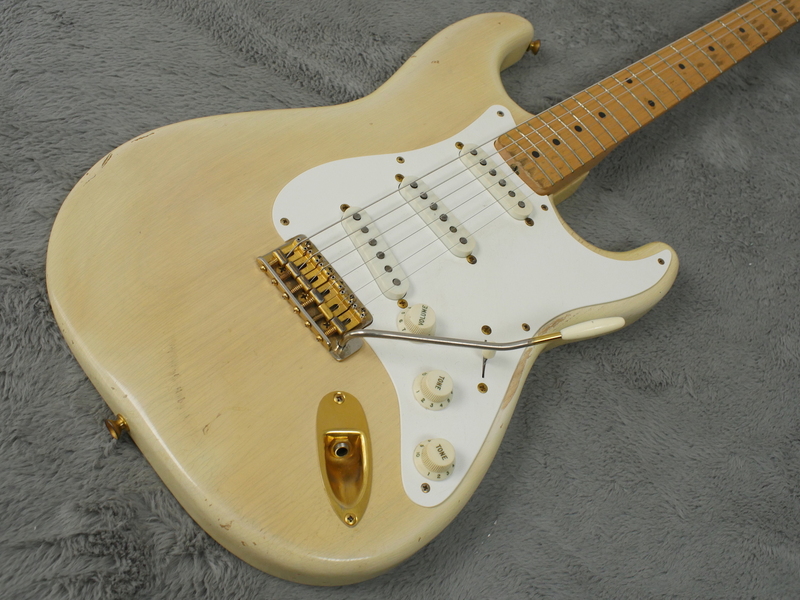 If you are serious about your vintage guitar collection then a Mary Kaye must be part of it. 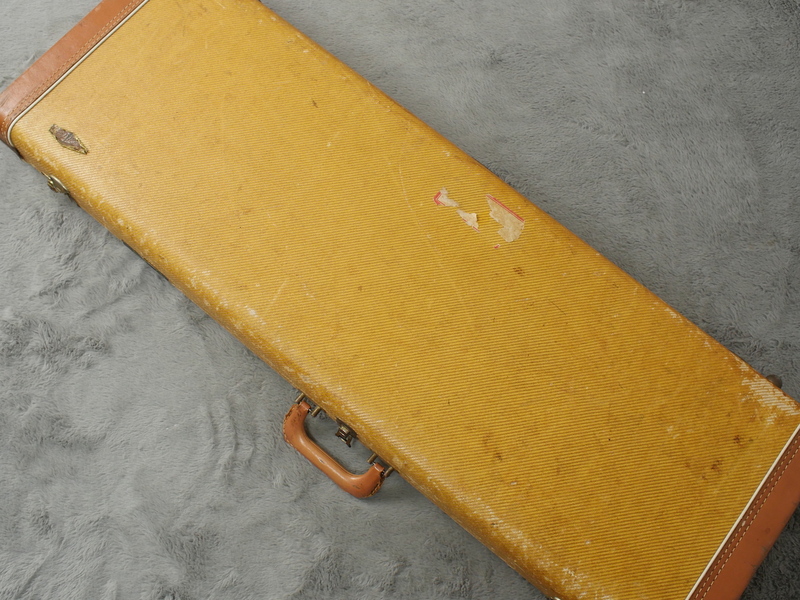 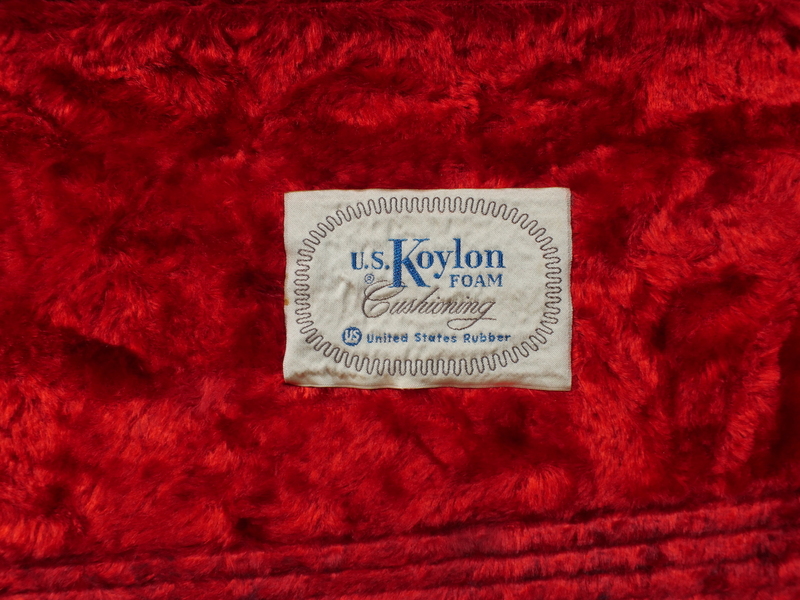 Extremely fine condition, a strong excellent plus. 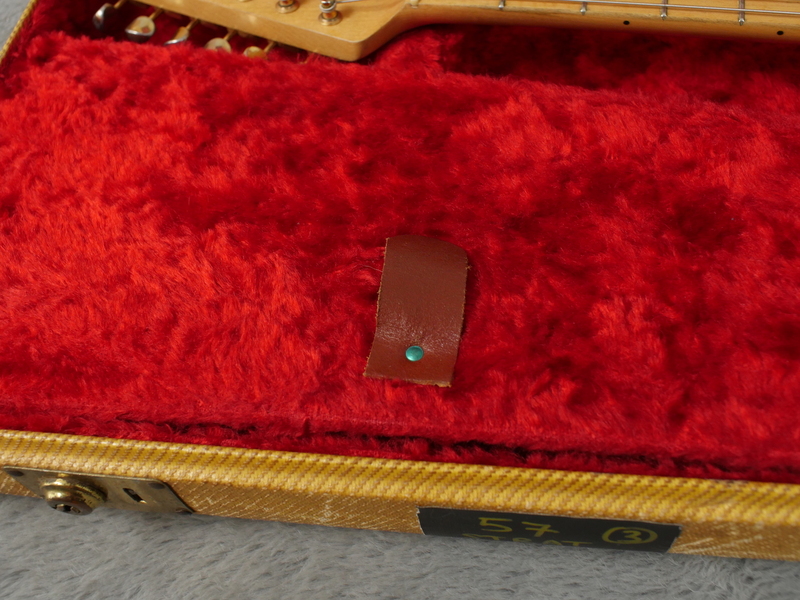 It does have a few minor dings here and there but overall, it is absolutely lovely and a total gem. 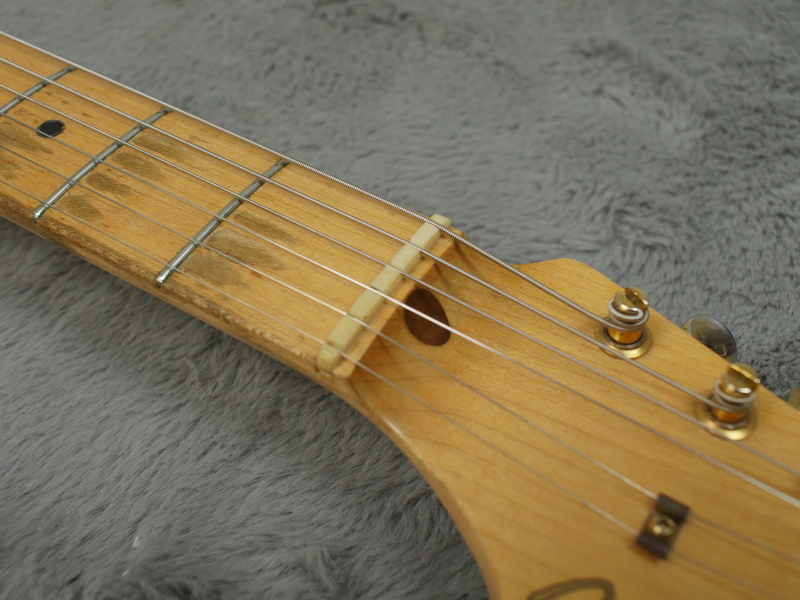 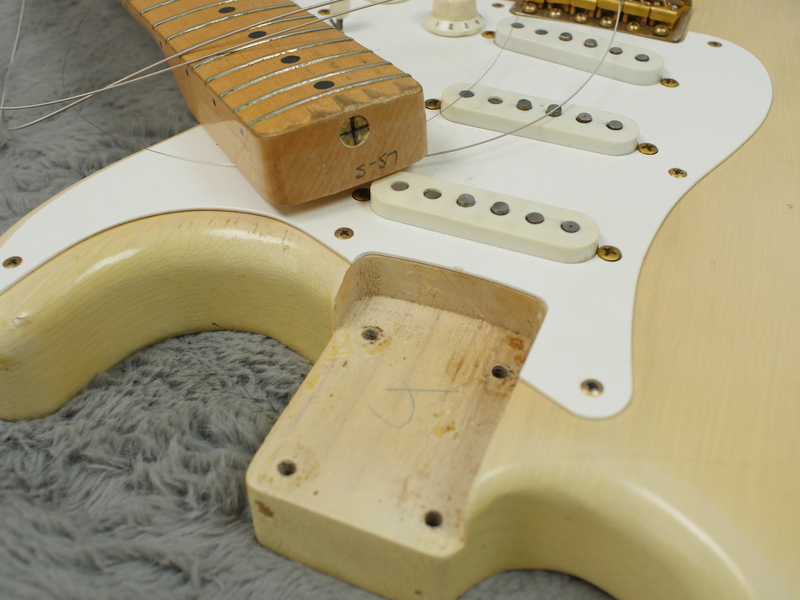 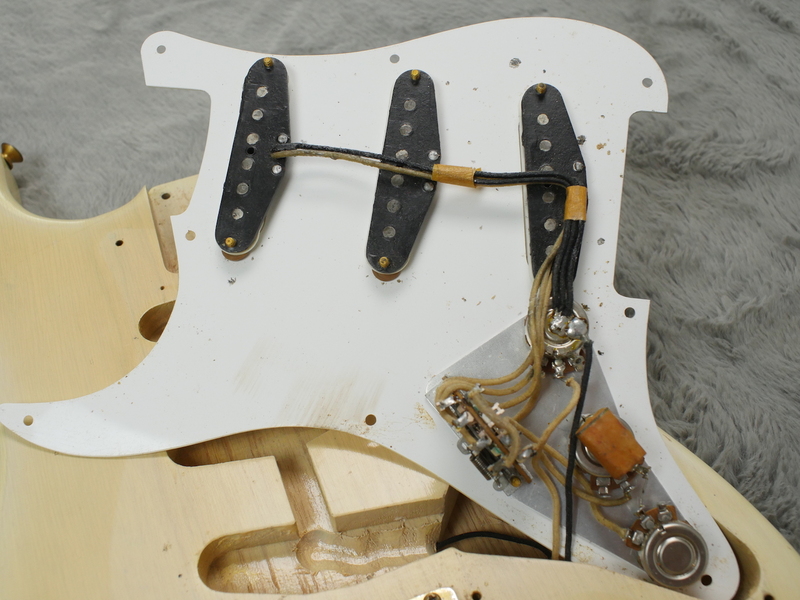 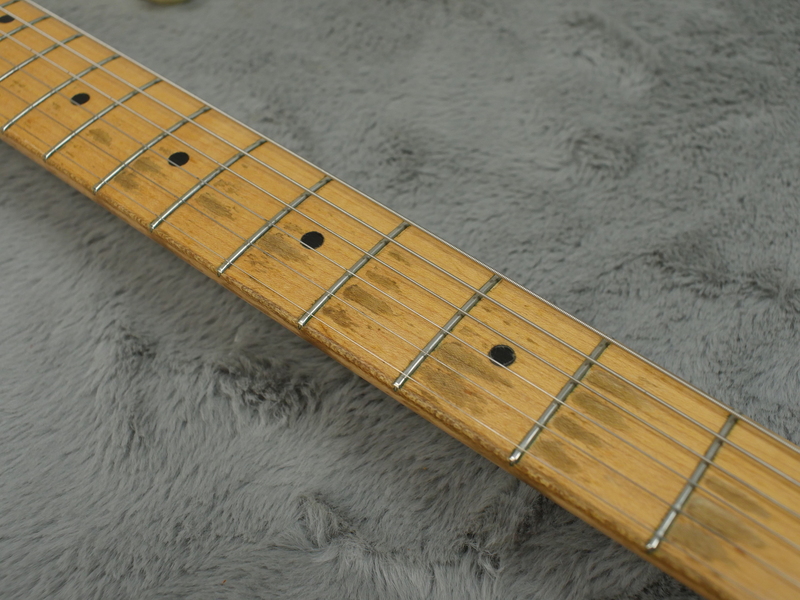 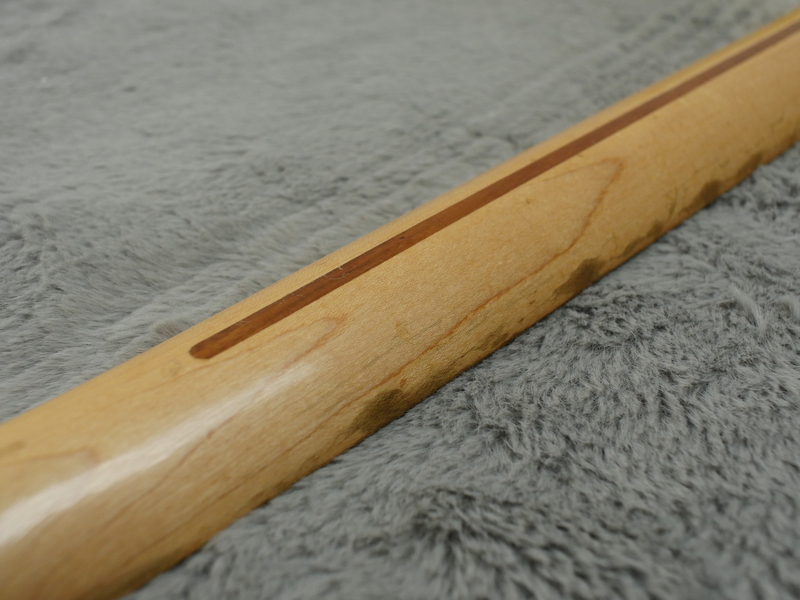 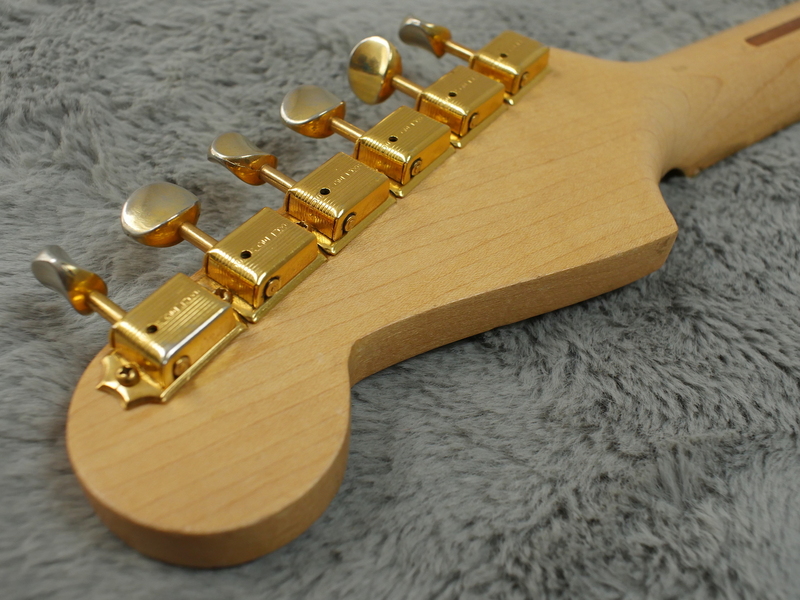 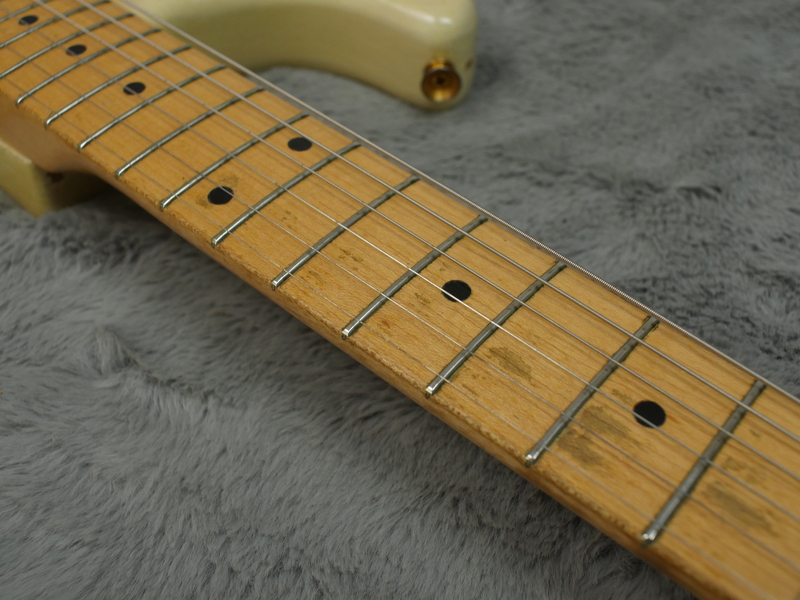 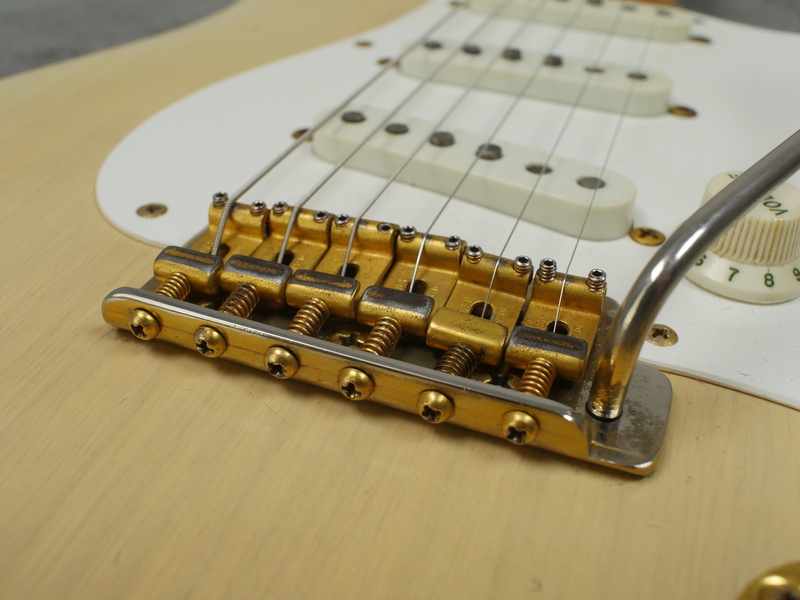 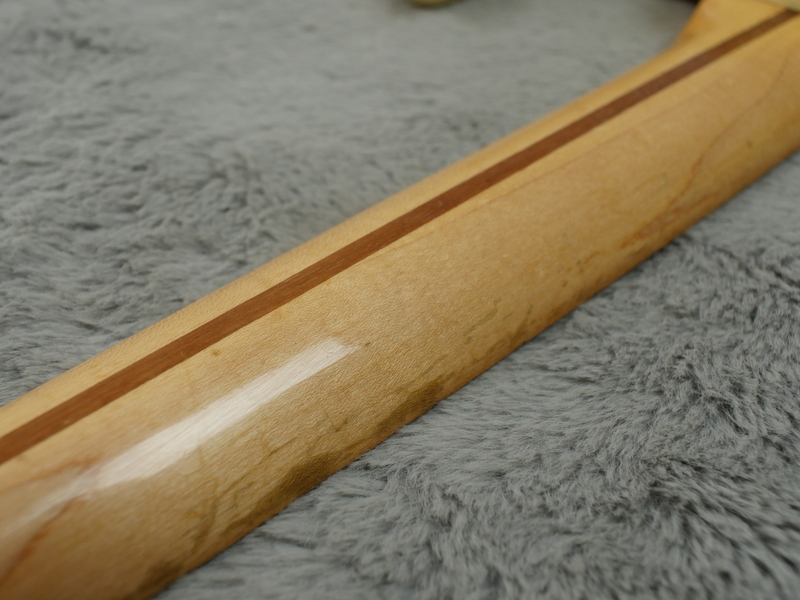 We cannot find a single thing out of place on this investment grade piece - right down to the original gold trem arm, the tweed case and the gold plating on the truss rod nut. 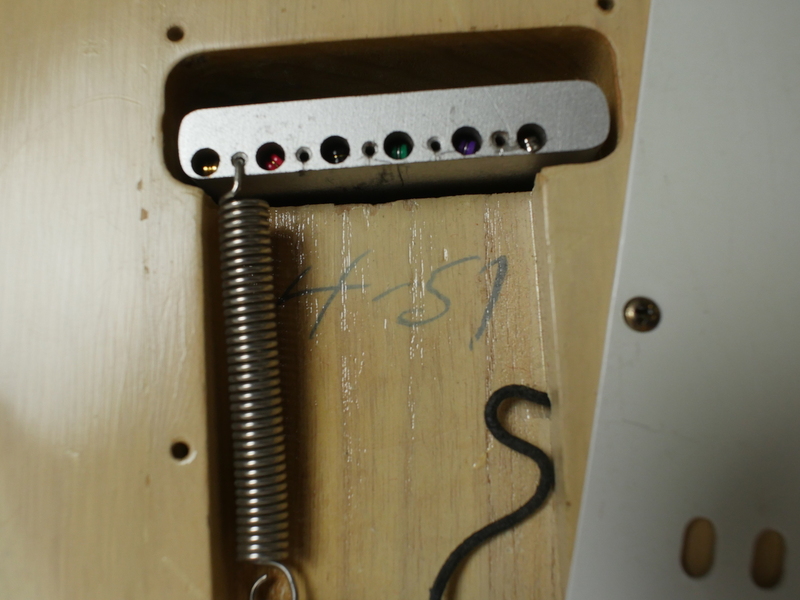 In case you were wondering, yes it does play really really well. 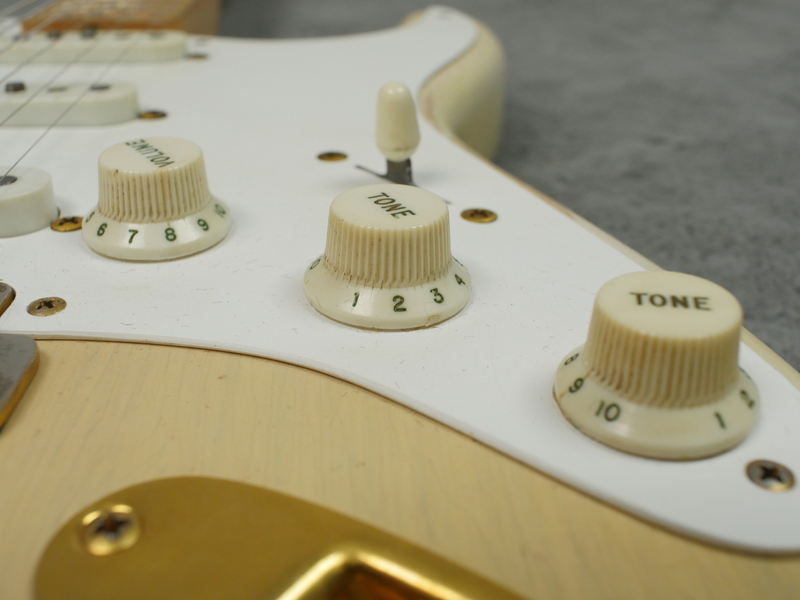 All three pickups sound as classic as anything we have had here from the black bottom, pre-CBS era and the are all evenly balanced, super sweet sounding. 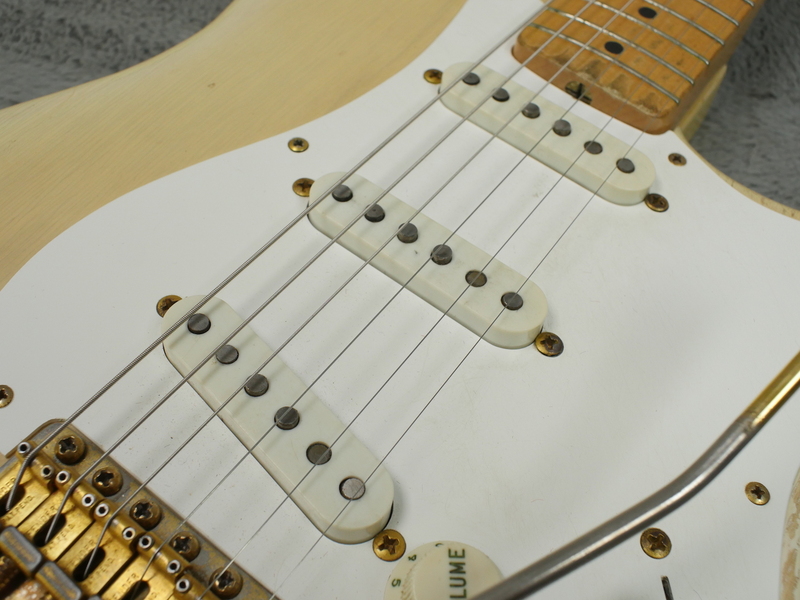 All totally original solder, all original blonde finish with no touch ups or over spray and all totally correct parts. 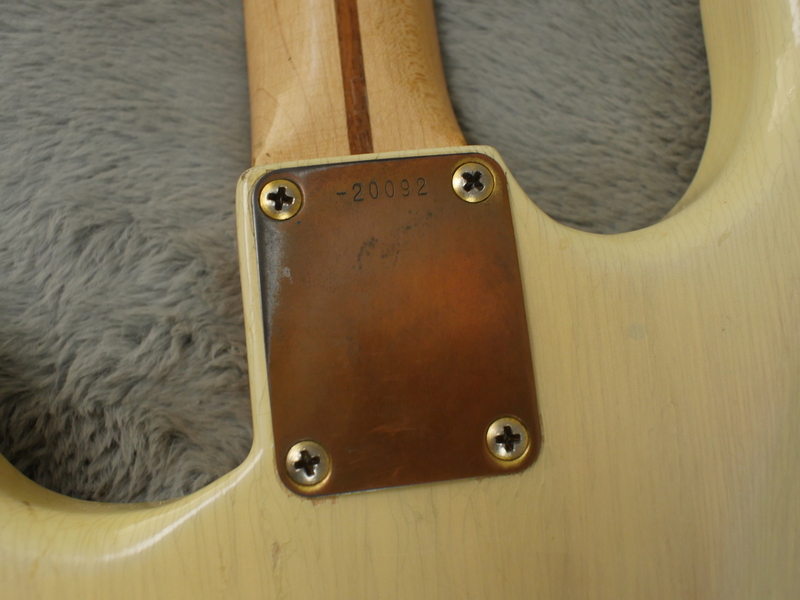 Body date is 4-57, neck date is 5-57, all pots date to 15th week of 1957 and serial number is -20092. 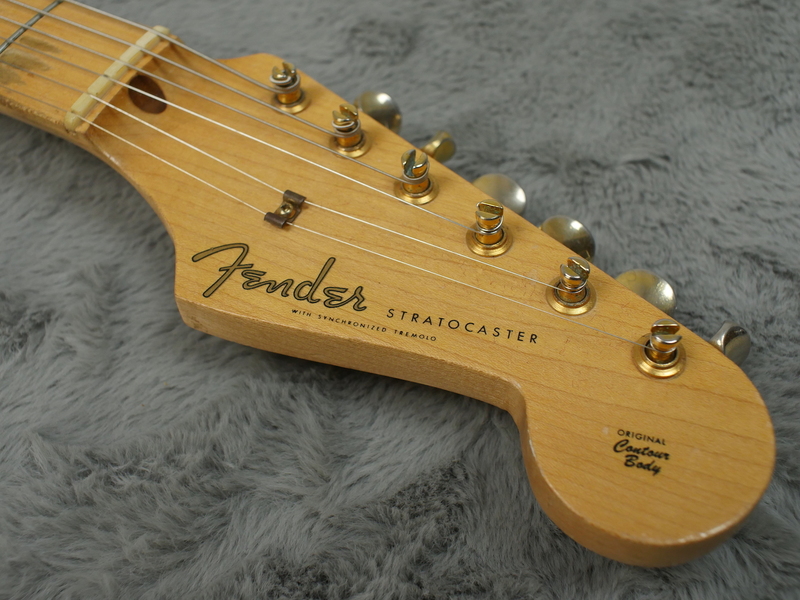 Obviously a guitar such as this is not going to be cheap. 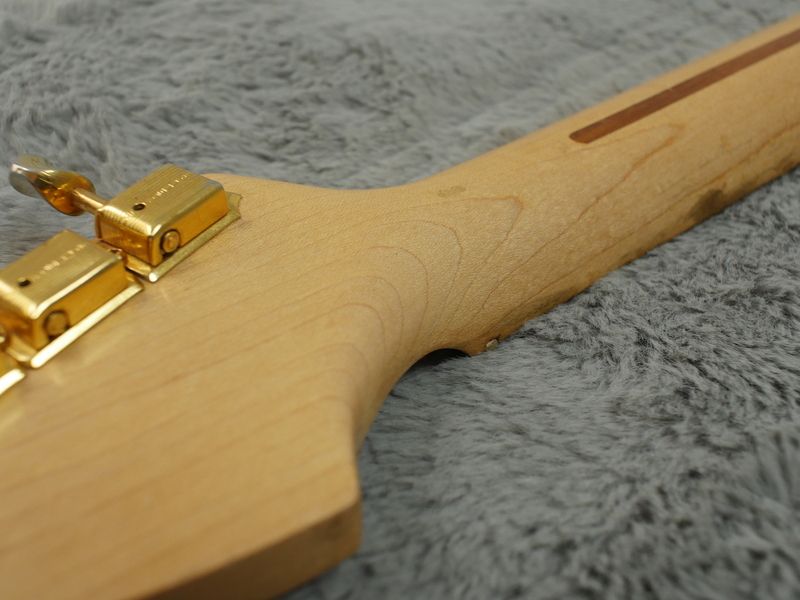 It is a solid, investment grade piece of wonderness and if you are looking for one of these, you will need one like this, with zero issues.